Her question got me thinking, because—as someone who has been arrested more than once for engaging in nonviolent civil disobedience and who went to prison for doing so when the US invaded Iraq, and as someone who all my life has been haunted by the Holocaust and wondered how it could have been prevented—I am not a stranger to these questions. And yet in recent years I have strongly sensed that at this juncture, given the political and environmental challenges we face, something far more radical than resistance is called for. We have reached a point where we need nothing less than an entirely new understanding of who we are and why we are here, because it is the stories we hold that generate the world we create. 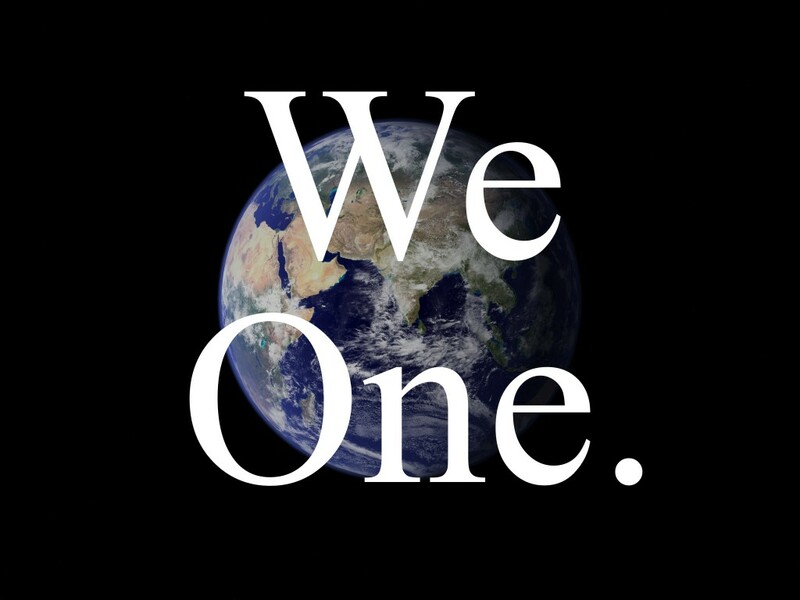 The decimation of the ecosystem, the phenomenon of terrorism, the longstanding practices of warfare, nationalism, racism, economic exploitation are all playing out the same basic belief: that something called “separateness” exists. Once this belief is in place a story naturally ensues, one in which it makes sense to exploit the planet and one another, because to do so seems to ensure one’s own survival. We have a name for this story. We call it history. This history, though, is the dramatization of an error. A fantasy. An illusion. Nothing exists in isolation. Nothing. Ask a biologist. Ask a physicist. Ask a mystic. They will all tell you everything exists as an interconnected whole. So let me get back to my friend’s question: If all things exist as an interconnected whole, is there a place for saying no? The answer is yes, but not the kind of no we are accustomed to saying. We are accustomed to saying no to others: to oil executives, or white supremacists, or Wall Street bankers, or members of the gun lobby, or governmental leaders, or, or, or. What we say no to isn’t the people, but the illusion itself. We say no to its enshrinement in our institutions and policies—and first and foremost in our own minds. Consider this: whenever we believe separateness is real, we live in fear. Those who marginalize, vilify, and attack others are those who are most deeply afraid. When we attack them in turn we are reinforcing the illusion’s hold on them—deepening their fear—and what’s more, we are reinforcing its hold on us. Our no, then, isn’t an act of moral condemnation; it is an expression of Love. When we say no to the illusion (rather than to those who are under its spell) we are saying yes to the truth of what we all are—the truth that, when it dawns on us, sets us free. Lately, a word has been rolling around in my mind. The word is we-sistance. Sistance stems from the Latin word meaning “to stand.” We-sistance is standing in the truth of our inviolable oneness, regardless of where life has landed us in terms of gender, race, religion, or political persuasion. Imagine for a moment what we-sistance might look like. Imagine public enactments of oneness that thwarted injurious policies but were completely devoid of any notion of enemies. Tenacious, bold actions that disrupted harmful behaviors without any energy of attack. Joyous, loving actions whose primary purpose would be to break the illusion’s spell over the people’s minds, including our own. That is the sort of creative, transformative movement we could use right now. I wrote a parable some years ago, No One in I Land, which tells the story of humanity falling asleep to their oneness with the Reality of Love. In their sleep they have a collective dream in which they perceive themselves to be I’s, all alone, trying to survive and be special in a lonely place called I Land. In the story there is a person who desperately wants to be more important than all the others, and so he proclaims himself Emperor. As he seeks to expand his authority and amass greater and greater wealth for himself, things in I Land begin to spiral out of control. To the ego, which in its ego-righteousness always demands that there be enemies to vilify and attack, that statement is offensive. And yet, in those two sentences lies the very heart of the message, the very thing it is time for us to learn. When we opt out of the story of separateness, leaving behind the very idea of enemy and attack, we are doing the most subversive thing imaginable: dissolving the thought structure that lies beneath all violence and exploitation. We are pulling the rug out from under the illusion. We are awakening from the dream. We are becoming the we-sistance that will change the world. Like what you read? Click the circle to subscribe to my newsletter. Yeah. That’s a pretty interesting outlook on things. The prophet Jesus said “Love your Enemies.” That pretty much covers it. It’s nice to know that great spiritual teachers have confidence in our abilities to discern how to bring our lives into congruence with such a profound directive.